Over 95 percent of the U.S. international trade moves through U.S. ports and harbors, making safe navigation of U.S. coastal waters extremely important. Inadequately charted coastal water could potentially contain hidden dangers and leading to groundings, allisions, and other coastal hazards, which could have negative impacts on our nation’s economy; putting lives, property and the coastal environment at risk. Increasing national and local needs for accurate water level information has helped to define and develop the National Water Level Observation Network (NWLON). NOAA operates and maintains NWLON, a network of long-term water level stations across the United States coasts, including its island possessions, territories and the Great Lakes. Water level data collected from NWLON forms the basis of the national tidal datum network, an elevation reference network used primarily for navigation and shoreline boundary purposes. This network establishes the vertical datum for NOAA nautical charts, and is the foundation for water level predictions portrayed on these charts. 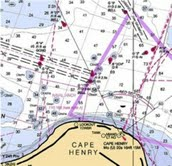 For example, Mean Lower Low Water (MLLW) is used as the reference datum or Chart Datum for U.S. nautical chart products for tidal waters. Similarly, Mean High Water (MHW) is used as the reference datum for the National Shoreline. CO-OPS’ Mapping and Charting Services Program is based on NWLON and its primary purpose to accurately collect water level data to meet NOAA’s mission and goal requirements for water level information. CO-OPS installs and operates long term and short-term water level stations in support of a variety of programs, including hydrographic surveys, shoreline mapping projects, marine boundary determinations, dredging projects, and other mapping efforts. 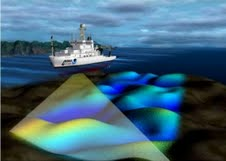 CO-OPS supports the National Ocean Service (NOS) Office of Coast Survey (OCS) and National Geodetic Survey (NGS) with hydrographic and shoreline mapping missions through data collected at operational NWLON and subordinate water level stations. OCS utilizes oceanographic data collected by CO-OPS to subtract the tide in order to reduce bathymetric soundings to accurate chart depth above MLLW. 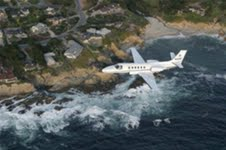 NGS utilizes the data for planning and proper determination of MHW and MLLW flight windows for shoreline mapping surveys. All OCS hydrographic surveys and NGS shoreline mapping tidal surveys require existing NWLON station data to provide tidal control. If existing NWLON station data is not available, CO-OPS may require the installation of subordinate water level stations to meet NOS specifications for some surveys. In addition to water level installation support, all NOAA in-house hydrographic and shoreline mapping surveys require that CO-OPS collect and quality assure continuous data during survey operations. This involves tracking, continual monitoring and possible emergency maintenance to ensure proper survey support. CO-OPS also priority processes data on a weekly basis, computes tidal datums and harmonic constituents and generates predictions in order to provide quality assured data relative to chart (MLLW) or boundary (MHW) datum. OCS also requires CO-OPS to provide a final note which contains verification of water level data, final tidal reducers, and station stability during survey operations. CO-OPS also provides to both OCS and NGS annual data quality control verification as indicated through annual level records analyzed during a Year End Review of NWLON and long-term control stations. OCS hydrographic survey contractors operating under the National Ocean Service, Brooks Act Architectural and Engineering contract are responsible for complete installation and removal of subordinate stations when required. This includes monitoring and maintaining the stations, collecting valid and continuous data, processing the data and providing final tidal reducers according to the NOS Specifications and Deliverables Document. These deliverables are submitted to both OCS and CO-OPS for validation. CO-OPS provides technical and operational support to the NOAA VDatum Program, which has specific authority from the Ocean and Coastal Mapping Integration Act. VDatum is a software tool developed by the NOS used to transform bathymetric/topographic data seamlessly among 28 tidal, orthometric and ellipsoidal vertical datums. The ability to properly reference data to multiple vertical datums is critical to a variety of programs and applications, and it also serves to extend the capabilities of emerging technologies in providing state-of-the art products. CO-OPS analyzes the model areas under development and provides prioritization of areas for which future models will be developed. CO-OPS performs tidal error analysis of the existing tidal, geodetic, and ellipsoidal datums and develops assessments for each State (areas) for which the VDatum model will be developed. Additionally, CO-OPS installs water level gauges to collect water level information to support the enhancement of VDatum model development, in order to update the existing VDatum grids. USACE and USGS Datum Standardization – CO-OPS provides support to U.S. Army Corps of Engineers and U.S. Geological Survey to assist in updating existing datum calculations. Presently, NOAA is working with USACE on an agreement, which will allow both agencies to work together to develop a plan to update datum calculations for over 1000 Army Corp District projects. USGS is also interested in updating project datums for its regions and an Interagency Committee is focused on collaborating to obtain funding for future work.